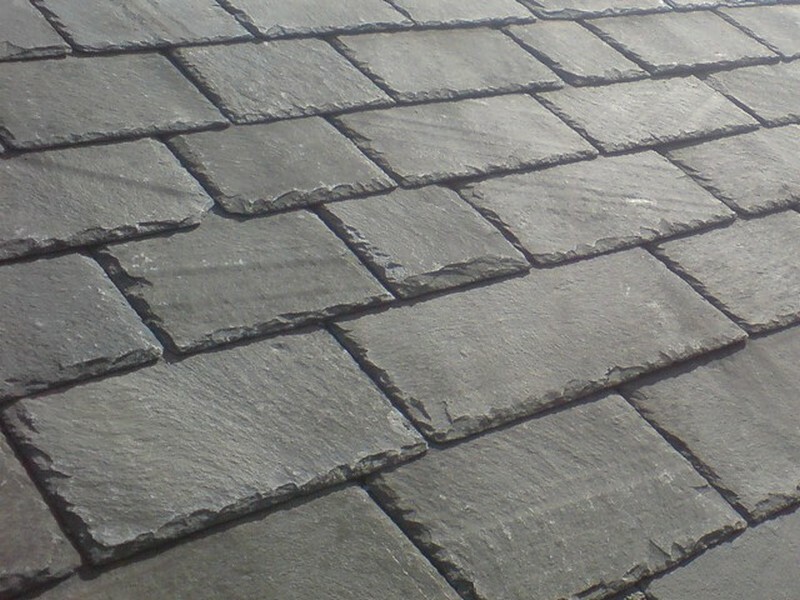 For around 200 years, slate has been one of the most popular roofing materials in the Western world. A slate boom occurred in Europe in the 1870s which made it so. This is a natural, foliated, homogeneous metamorphic rock mined all over the world with several quarries in the UK. It is used to cover roofs because it maintains its appearance over time and is easy to stack and install. Artstone (manufactured by Greys) is a new roofing material in comparison. This product mimics the appearance of real slate and is an engineered roof tile, which is to say it’s manmade. The benefit of which is perfectly reproduced slate copies, allowing roofs to have a natural look without natural imperfections. Artstone is easy to cut without cracking and is approximately a third lighter than the real thing. Natural slate weathers over time and each tile takes on a slightly different appearance. No two tiles are the same. Artstone tiles also weather over time and are engineered to weather like natural stone, not concrete like cheaper tiles. Please bear in mind some other brands of engineered tile weather like concrete, not slate. Artstone tiles have the edge here. They are engineered to be a strong and durable slate without the natural defects of natural slate. Natural slate tiles have cleavage and grains that make it susceptible to splitting. This can create a lot of waste, although slates that break are reused in whole or as chippings. It’s a draw. Artstone slate tiles perfectly mimic the appearance of real slate and weather similarly over time. This makes each tile unique. You can only tell the difference between a real slate tile and the engineered alternative up close. The colour is a very close match too when wet or dry. The difference is very small. Natural slate tiles weigh more than Artstone tiles. This means Artstone tiles are a better roofing tile for lightweight applications, like garages and conservatories. The approximate weight is 75kgm2. This is approximately 33% lighter than natural slate, although weight will not usually be an issue on a standard frame. To be honest with you this is tic for tac. Artstone slate roof tiles can cost more than natural slate roofs and vice versa. The key is to get a good deal on the product and save on installation and labour. With us, we offer a competitive price on both types of roof and can usually match quotes from our competitors. A competent roofer will be able to install both products in the same amount of time. There’s nothing difficult or special about either. The underpinnings may be changed, but the tiles themselves will install easily enough. Repairing tiles is a case of lifting them away, replacing them and ensuring everything is lined up. Choosing between natural slate or artstone for your roof will come down to cost. If you live in a conservation area or a listed building with a slate roof, you may find there are restrictions too. We recommend you get a roofer round to survey your roof or architectural drawings. This way you will be recommended the right product. For most applications, natural slate will do but Artstone is a good alternative in any case. If you already have a slate or Artstone roof in need of repair, use the same material. If you would like to know more about slate and Artstone roofs or you have a problem with your roof which needs professional attention, please contact us here at Roundhay Roofing, and we will be happy to help. Call 0113 8941968.